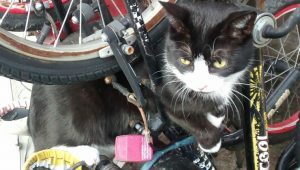 A delivery driver spotted a cat stuck in the frame of a mountain bike and called authorities to help. 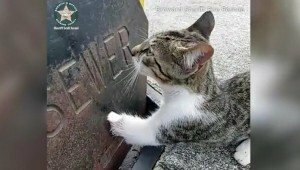 The RSPCA managed to free the kitty and send him on his way. 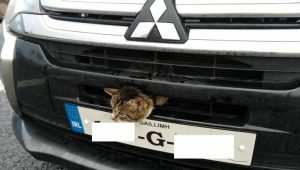 A driver thought he was being pulled over for speeding, but the officer was stopping him because a cat had its head stuck in the car's grille. 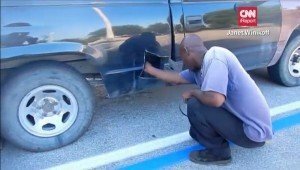 A man heard purring coming from his truck, so he used sheet metal cutters to carve a hole in the bed of the truck to save a kitten trapped inside. 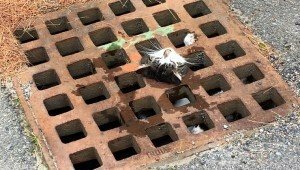 Firefighters removed the grate and brought the stuck cat to a local animal hospital where veterinarians cut through the grate to free the paw. 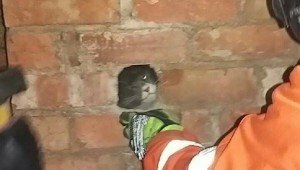 Firefighters had to remove bricks from a chimney wall to rescue a cat who got stuck inside. 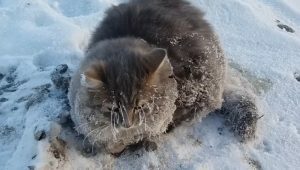 The cat is fine and was returned to its owner.